Ideally, a bride should begin a proper skin care routine 1-2 months before the big day, but it’s never too late to start. If you have serious skin conditions you want to improve such as hyper pigmentation (uneven skin tone, dark spots) or acne, you should start as soon as at least 3 months ahead of time. 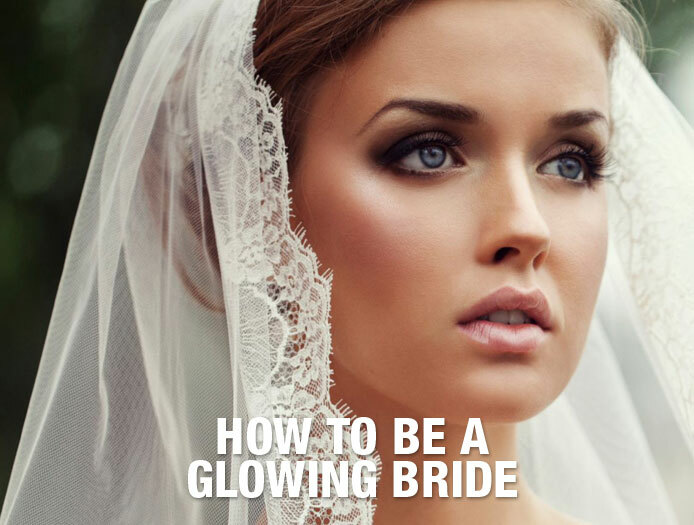 Your last facial should be about two weeks before the big day to allow your skin to heal before your wedding day. Cleansing is the first thing in facial skin care routine. Cleansing helps in removing dust, pollutants, grease and extra oil from your skin, thereby preventing damage to your skin. Jericho Dead Sea Facial Cleanser is a light & gentle. It uses a combination of fragrant herbal essences and exotic Dead Sea minerals to effectively remove all traces of makeup and pore-clogging impurities. Jericho Dead Sea Facial Cleanser contains a number of sweet-smelling herbal extracts with mild, astringent properties, including Sandalwood, Orange and Sesame oil. It’s also rich in deep-acting, hydrating minerals drawn from the healing salt waters of the Dead Sea. Rub the Cleansing Milk on your face with your hands, and then remove it along with dirt and makeup using cotton ball. To remove the leftovers dirt that didn’t get off during cleansing use Jericho Dead Sea Facial Toner, enhanced with Aloe Vera, Vitamin A and Dead Sea minerals. Spread small amount of Jericho Dead Sea Facial Toner on a cotton ball in circular motions. Exfoliation removes the dead skin cells and gives the skin a healthy look. The peeling exfoliation also reduces the chances of pimples and rash. Be careful not to over exfoliate, since it can strip your skin of the natural oils it needs to protect the skin. Jericho Dead Sea Foaming Facial Scrub is an incredible spa-style formulation of natural herbal extracts and deep-cleaning minerals as part of your regular cleansing regime. Each bottle of our luxurious, Jericho Dead Sea Foaming Facial Scrub, contains a unique formulation of Chamomile extracts and Vitamin C, along with therapeutic minerals harvested from the ancient shores of the Dead Sea. The final step is the return of natural moisture that the skin loses throughout the day and while cleansing. The Moisturizer leaves the skin protected and prevents dryness and redness. Apply Jericho Premium Dead Sea Restoring Day Cream on dry clean face. Delicious and comforting, this Dead sea face cream provides a full skin care routine with soothing, nourishing and regenerating properties. This deep-acting cream nourishes tired skin with collagen, helping to reduce fine lines and discolouration. Each application will leave your skin feeling silky-smooth, soft and supple, with a youthful, radiant glow. Once a week, give yourself a special day. This day will be different! Take a warm shower, apply award winning Jericho Premium Dead Sea Facial Pearl Mask, and scrub it gently all over the face, avoiding the area. Each jar of Jericho Premium Pearl Mask actually contains natural powdered pearl. This exotic ingredient prevents unwanted age-spots and blemishes by slowing the development of melanin and filtering-out harmful UV light. This is a rich, nourishing treatment which leaves your skin feeling soft, supple and rejuvenated. The skin on the eye area is very thin and delicate. This area doesn’t contain oil glands (Sebum glands), therefore it get drier and is more likely to have wrinkles. Jericho’s cool, refreshing eye & neck gel uses the special healing properties of herbal extracts, along with complex Dead Sea salts, to smooth and enrich the delicate skin around the eyes and neck. Gently dab Jericho Premium Dead Sea Eye & Neck Gel from outside of the eye towards the tear sack, and above the eye from nose side to the ear side. This nourishing gel will help to restore the youthful elasticity of dry skin around the eyes and neck. With regular use Jericho’s rich, hydrating gel can help to reduce fine lines and combat the aging process. Formulated with Chamomile extract and Rose Hip Oil to increase elasticity and smoothen lines and wrinkles. Leaves skin visibly lifted and toned. There’s nothing more visible than cracked lips which creates a dry canvas for the lipstick on the wedding day. Keep your lips nourished by using an organic Lip Balm every night and help maintain the moisture levels for that luscious lips you want. Use Black Pearl Age Control Eye & Lip Contour Cream.